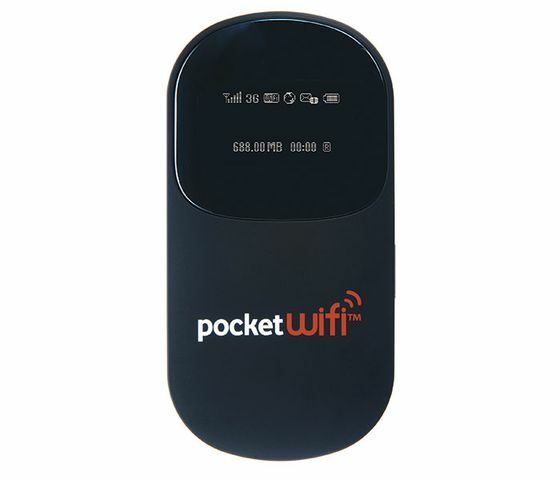 Zibri's Blog: Australian E585 (pocket wifi) UNLOCKED! The program *SHOULD* work also with the newest batch of 3UK E585 (the ones with only one com port). This program is now in beta test, so contact me for any issues. b) Unlimited unlocks (we have a number of the e585's in our office). @Gaelic write me an EMAIL. You've got the wrong program. The price will popup when the program starts. 3) run my program and enter the code. 4) connect the e585 when my program asks. When i enter the code (either manually or paste it in) i then press enter and get this error "wininet error #18 : (Unknown WININET error # 18)"
I am using Win 7 64bit trying to unlock Australian E585. @Zibri I folled your instructions exactly. i even created a new user account on my PC. When i paste the paypal Unique Transaction ID into your program, once i press enter it gives me that error. if i press enter again it tells me "wrong code". What am i doing wrong?? That error means my program can't reach the authorization server. It usually happens because of the e585 connected. You must disconnect it FIRST then run my program and THEN reconnect it. It you still have that problem then you have to check your network connections and firewall. Note: email me (my email is on the purchase page on paypal) this is not the place for support. where is the code? I cant find it .. The confirmation code is the one without dashes. If you can't find it, since I'm a patient guy, I just sent it to you by email. hi, i donated and ran the program according to the instructions, everything seemed to work, but now when i put my telstra sim card into it, it comes up with an "R" in a box in the bottom right of the display, and does not show the globe; it does not allow me to connect to the net. I donated to unlock Huawei E585 of Vodafone Australia and try to unlock by UnlockE585_au.exe. However, I could not unlock it. the Unlocker window showed the error message "COM Port Error: Unknown Error #1167 on COM3." or showed no dialog after connect the modem to PC. I have tried to delete the drivers or change the port number on the Device Manager, re-install the driver software and reboot the PC several times. But the situation was not chaged. Successfully unlocked my Australian prepaid Vodafone pocket wifi Huawei E585 using your unlocker, and now using it with my Malaysian Maxis sim! I'm using Windows 7 via VMWare Fusion 3.1.2 on Mac OS 10.6.5. No issues at all, just followed your steps exactly as you advised. It makes my day when someone posts a message like this. 2000 people used my unlocker(s) and only a bunch took the time to say something like this. It's workin dude! Nice work!!! Made a donation and no regrets at all. Thanks a million!!! I have an E585 bought from Ausralia 3. After I got back in Hong Kong and insrted local SIM card, it does not show "inalid sim" on the display and looks fine with 3 and antenna mark shows on the display. However, when I try to connect any WiFi device to it, it will show connecting and disconnected alternatively on the display of E585 and I could never get any connection. Is this also a SIM lock problem? Can your program fix his probem? 1) My unlocker worked and your card is unlocked. 2) You didn't configure the APN for the new SIM! To do that, open it's web page, login with Admin as the password, setup a new PROFILE and set it as default. Midnight sydney time I found this this before im off OS the next day, downloaded it, few little hassles but simple stuff if you read the above comments (I was running wireless which was using my serial port) once those things were sorted ran the app again and it all worked, simple as. Well worth the $$ spent. unlocked a E585 Vodafone AU device, windows XP SP3. Worked a bloody treat! Thanks heaps! Once it says "Connect Card," disconnect from the internet, exit any instances of your mobile broadband software (eg, Optus, Telstra, Dodo or whatever) - and make sure there are no instances running in your taskbar (click the little 'up arrow' near the clock if there is one). It failed for me the 1st time I tried (because of the Optus programme trying to use the E585), but I turned it all off for the 2nd attempt and it worked brilliantly. I'm now free of Vodafone - and much happier to pay Zibri than pay an extra cent to that horrible Vodafone monster. Thanks to you for taking the time to post a success story (people post messages only if something goes wrong). That erro only means my program can't connect to the internet to check the code. Connect the card only when my program asks.. not before. But in that moment you need an internet connection present. M a Mac user and using the Huawei E585. Could I still run the unlocking program? coz u mentioned it runs with XP, vista n win7. None mention of Mac. Pls lemme knw? Seems alot of ppl r happy with your unlocking prog. just wished it wld also work with Mac users! 1) Thank you for the unlock. The PayPal code worked instantly and no more "INVALID SIM" message. 2) Slight issue that I hope you can help with. I can only access the settings page (http://192.168.1.1) when the original SIM is in. If I put in a different SIM, I cannot get that page to open. About point 2, I've never had that issue and nobody else reported it. I can access that page with my italian SIM in it. Try to change it's address to something different like 192.168.10.1 (and remember to change also DHCP server addresses accordingly). Maybe you have a collision with other appliances in your network (like your adsl router). It appeared to worked as described - I put an Australian OPTUS sim into the Huawei E585 and although it recognizes the sim it doesn't connect properly. No issues. You must configure a new profile and save is as default. @adrianus: you must BUY a code from the browser windows my application opens. You can't use a domantion code. You must use a purchased code. I understand what I did wrong, as I didnt read thoroughly. What should I do now ? The program won't let me clear the number to re-input the the confirmation number. Just enter CLEAR instead of your code and press enter. Then you can enter your code again. You just need to enter "BUY" and press enter. Hi From Australia with E585modem problem. Looks like the unlock worked as Modem was on Vodafone and I have a Telstra Sim. I logged in to configure a new profile and save is as default there is no change, I even used search network on manual and only finds Telstra 2G, I save that and then after 30 seconds it goes back to 3 with an R at the bottom right. What am I missing? Did i Download the correct Software for the Australian version or did I miss a step? Your card is unlocked (otherwise it would display "Wrong SIM"). Everything else depends on settings and SIM <> Operator combination. Most likely your sim is not data-enabled. Hi My unlocked device is not transferring data when I use with Optus data card. But it doesnt say invlaid card neither. That's because after unlocking (which clearly was successful) you must configure it for the new SIM. Configured Sim as you requested with new profile, sim is data enabled, When i choose Telstra it only locks in for around 10 seconds and then goes to 3 network. Funny thing is even though it shows 3 network and R -I am able to log into the internet and surf. The sim was taken out of a Telstra Touch tab I can't see how this would make a difference. As far as I can tell all is working well apart from this strange display info. @tony: that happens because that sim is not accepted for data. Ask your provider or try a sim with a data plan. The display "glitch" is a cosmetic bug in the firmware. And has nothing to do with unlock. This is driving me nuts. I have read all the comments and I still get the PORT BUSY come up after I connect the E585. Help. I take the battery out, reinstall the software, disconnect all devices to free up com ports. I even went into Device manager and it only shows the E585 on Com Port 6. You get the PORT BUSY error because another program on your system is using the same serial port. Most probably it's the "pocket wifi" you see in the TRAY near the clock. Quit any program "wifi manager" / Powcket wifi and the run again the unlocker. Please carefully read the instructions inside the ZIP file. Zibri. GOT IT.. I had already turned off the WIFI manager, but because I had the Pocket Wifi connected via USB, the Vodafone Program automatically started and sat in the background. As soon as I closed down the Vodafone PROGRAM, it worked immediately. Yes. The serial port in itself is something that can'e be used by many programs at the same time. So, for my (or any other) program to work, the port must be free. I saw that you need an internet connection for this. What if the only internet connection I can get is wifi? I need an unlimited version of your software for Huawei E585. How much is the donation required? Run the program then enter BUY UNLIMITED (instead of the code) and you will know. Gday mate, just a call to say it sounds like everyone is pretty happy with your software and id love to as well at this price to unlock. Any suggestions would be greatly appreciated. Cheers. you must configure the card after unlock. set up a new profile and then set it as default. @Addixion: exactly what my program does. Ok the situation is this. I've managed to unlock my e585 unit. It's showing connected but after awhile it gets disconnected. The globe icon is not showing though 3G and wifi is on full bar. I've input the APN as required. Puzzled. After correctly configuring a new APN with user and pass, you must SET IT AS the DEFUALT! I did just that. Still not working. I noticed the comnection settings shows DISCONNECT as the connection status. And no IP detected. Did something went wrong during the unlock? Can I unlock another time? Everything went perfect during unlock (or you would read "invalid sim". It's a configuration problem (or the sim is not data enabled). where cann i find the drivers..? When you connect the card you will see a new "cdrom" present in your computer. Will this work for the E585 v2 model from Vodafone Australia? hi i already buy the unlimited code.but the program say"code had been used already".i want to ask what can i do for me? Something went wrong. Read the included instructions. You can clear the code and use it again. Works a treat. Tossed in my Telstra chip, ran the program and I no longer had a locked to 3 pocket modem. Thanks! Thanks to you, Sandra! Have fun! Will this work on a E585u-82 model from Vodafone Australia? I just tried to use the unlocker with my new E585u-82 and it is prompting the 'Unsupported model!' message. Any help would be appreciated. Sorry.. my bad. that model is unsupported. You'll be refunded right away. I need the email you registered the program with to do the refund. No worries. I havent purchased a code yet. Just hoping that this would be supported as this unlocker worked flawlessly in my previous E585. Oh.. I remebered correctly then that my program doesn't allow even to buy the code if the model is not supported. Ok.. no harm no foul. Hi - I only read this after donating and finding the model u-82 is unsupported. Do you expect this model will be supported in the near future? I bought a unlimited unlock previously, Im now trying to unlock the E586 and im just getting the message connect card? Any suggestions, Dont understand message about reinstall wifi drivers, what drivers? The program is ONLY for E585 and NOT for E586. could someone please post the drivers here - I cannot access my devfice to get them. I tried updating the firmware (model e585u-82), after it already WAS unlocked, as thought it would let me attain faster speeds, (I now believe I was wrong), and it sits there with the '3' logo fading in and out (or battery charging), and that's it. I cannot get my computer to recognise it to logon to re-unlock it. also am unsure what (original) firmware to flash it with (first? i'm assuming)... so help with that would be very much appreciated also. same thing happen with me the only thing I have figure it out is when you take the battery out and reinstall it after that keep pressing reset button along with power button the pocket wifi will start in recovery mode and after that the computer will recognize your wifi. Unfortunately I have tried many firmware no one has recovered my wifi. ibra: that's because you flashed the wrong device firmware and bricked it.